Gunkatana is the lightning-fast, retro-inspired cyberpunk arcade game, where you eviscerate your friends across futuristic cityscapes. Playable builds here at itch.io, just launched! 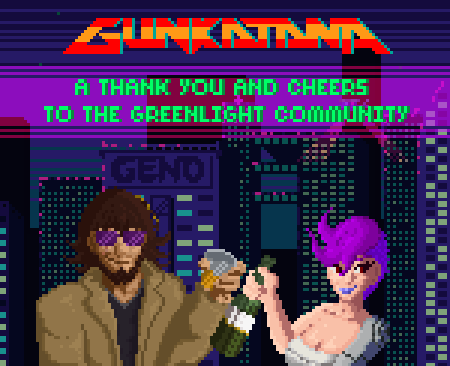 Thank you for everyone on itch.io who played Gunkatana so far! Lots more to come soon, check out our official site www.gunkatana.com and sign up for the newsletter!